You don't owe tax on your fixed annuity gains while they stay in the contract. 2. 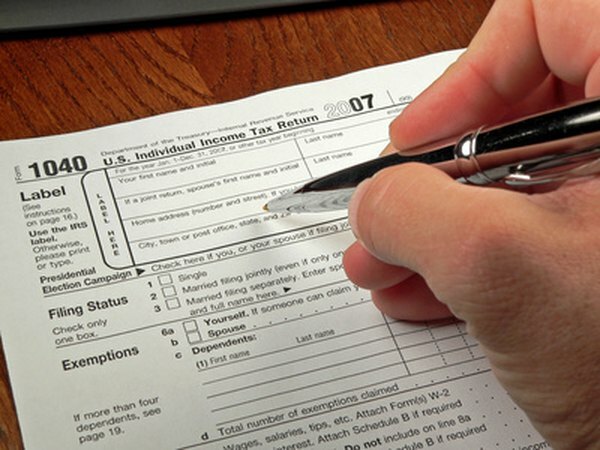 When Is Withdrawing From an Annuity Taxable Income? 3. Tax Implications for When IRA Is Converted to an Annuity? A fixed annuity is a guaranteed investment account that is designed for retirement. By taking advantage of the fixed annuity's tax rules, you can get a better after-tax return on your money than you could on most other guaranteed accounts. However, you need to understand how to take money out of your annuity properly as early withdrawals can be heavily penalized. A fixed annuity pays a fixed interest rate on your account. This interest is guaranteed by your annuity company and isn't based on the stock market so you will see some growth in your account every year. As long as you keep your investment gains in the annuity, they are tax-free. This creates a better long-run return on fixed annuities than on most other guaranteed accounts. If you earn interest in a bank account or money market fund, you need to pay tax on your gains right away. There are two types of fixed annuities: qualified and unqualified annuities. Qualified annuities are funded with pretax money. To buy a fixed annuity, you roll over a qualified retirement plan like a 401(k) into your annuity contract. You don't need to pay tax on this transaction because the fixed annuity still counts as a retirement account. When you receive payouts from your fixed annuity, the entire payment will be taxable. Since you never paid tax on your annuity contributions or your interest gains, you'll need to pay those taxes when you receive a payout. You can also buy a fixed annuity with after-tax dollars. These are called non-qualified annuities. When you buy a non-qualified annuity, your account is divided between your contributions and your interest gains. When you start receiving payments, you get your contributions back tax-free and will owe tax on your gains. Your total tax bill depends on the ratio of your contributions to interest gains. For example, if half of your account came from your deposits and the other half was annuity interest, only half of your annuity payments would be taxable. If you want to end your fixed annuity early, you can cancel the contract and make an early withdrawal. The tax rules on a withdrawal are more severe than on regular annuity payments. When you make a withdrawal, you will immediately owe income tax on your interest gains and pretax contributions. If you are younger than 59 1/2, you will also owe an extra 10 percent withdrawal penalty on your gains and pretax contributions. Lastly, your annuity company could charge you a fee for ending your fixed annuity. Annuity companies usually charge a surrender fee if you end your contract within the first five to seven years. CNN Money: What Are the Advantages of Annuities? CNN Money: What If I Decide to Withdraw Money?